Preheat oven to 425 degrees and lightly spray a baking dish or large pie plate. Unroll pizza onto a lightly floured surface and press into a 12x8-inch rectangle. Cut rectangle into 24 squares. Place pepperoni and cheese (or desired toppings) into the center of each square. Gather the sides of each square up and pinch closed to create a ball. Place each ball seam side down in the baking dish. In a small ramekin stir melted butter, garlic powder, and Italian seasonings together. Brush tops of rolls with melted butter mixture using a pastry brush. 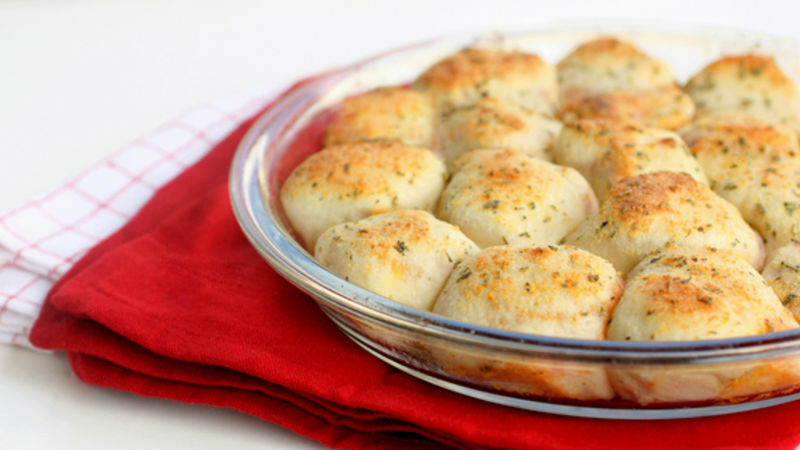 Sprinkle Parmesan cheese evenly over rolls. Bake for 15-18 minutes or until rolls are golden brown. Pizza is definitely one of my favorite meals and is always a meal that pleases everyone at the dinner table. 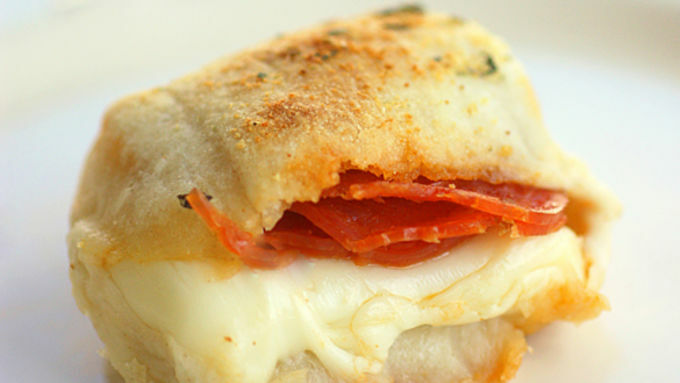 These Stuffed Pizza Rolls taste just like traditional pizza but all of the toppings are stuffed inside pizza dough and baked. These can made as an appetizer, lunch, or even dinner for your family in less than 30 minutes. These rolls are a great way to get your kids involved in the kitchen. 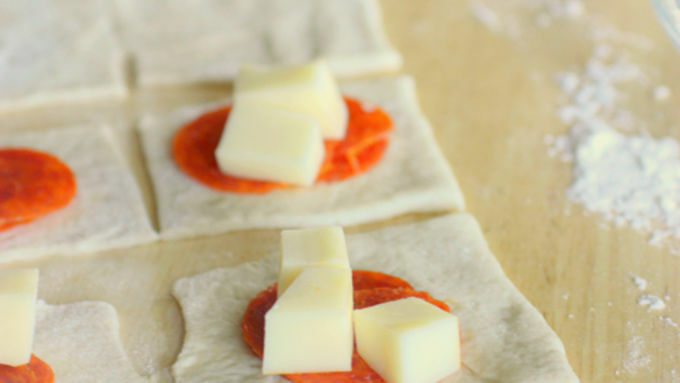 My kids love to help me make these pizza rolls because they can customize each roll with the ingredients they enjoy and they feel like they have “helped” with dinner. Kids love finger foods, and dunking them in pizza sauce makes dinner that much more fun. Here’s your lineup: Pizza dough, diced mozzarella, and pepperonis. Feel free to use whatever toppings you want here – chicken, bacon, ham, pineapple, or sausage to name a few. My husband loves olives so I always throw some in his pizza rolls. Plan ahead: I never know when I am going to need a quick dinner. These pizza rolls freeze beautifully. Just freeze the uncooked balls individually and when you need them, bake the frozen balls until golden brown (may take a couple more minutes).